Where Did The Idea Of Bail Originate? Cash bail, and the bail bonds system as we know it, was not always a feature of the criminal justice system. The system we have in America today started long before America was even discovered. So to understand how we got here, we have to go back and look at England, somewhere between AD 410 and AD 1066. English courts realized that a defendant in a criminal case might try to flee if released before trial. So to secure release pending trial they had to find a “surety” (usually a family member) who would promise to compensate the victims of the crime if the defendant fled before trial. For example, if John Smith was accused of stealing a pig, the surety would pledge to compensate the family whose animal was stolen, in the event that Smith fled before trial. But unlike today’s cash bail system, the surety agent merely had to show evidence that they could pay, if necessary. No money actually changed hands unless the defendant fled before trial. This system worked well for centuries until the Industrial Age made it harder to keep track of people. When England industrialized, people often left their home communities in search of work. Some ended up in mining or factory towns, while others traveled wherever work took them. In the new industrial economy, sureties were no longer a practical way of ensuring that defendants would appear for trial. So in 1898, England passed the Bail Act and in large part abandoned the surety system. In the United States, however, a different story was unfolding. Immigration and industrialization caused large groups of Americans to move about the country to places they hoped their skills would be in demand. Add a network of railroads to the mix, and it became very hard to track a defendant who skipped bail. But rather than scrap the surety system, Americans developed it into a business model. In 1898, the same year that England abandoned the surety system, the first bail bonds service in America was established in San Francisco. For the first time, a defendant who didn’t wish to await trial in jail, no longer had to locate a relative to act as a surety agent. 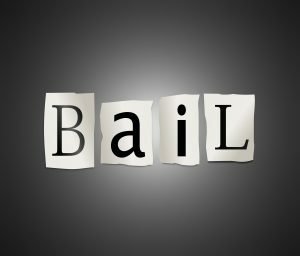 If he (or she) had sufficient funds, they could post a portion of the total bail requested by the court, and the bail bondsman would (for a fee) provide the remainder. This system satisfied the courts’ desire to have defendants keep their appearance dates while decreasing crowding in local jails. It also created a new industry—the bail bondsman. By the 1960s, flaws in the bail system put great burdens on the poorest defendants—often causing innocent defendants to lose jobs, homes, and families while they sat in jail awaiting trial. So in 1966 Congress passed the Bail Reform Act, which was signed into law by then President Lyndon Johnson. This law was designed to allow defendants to secure their release with as little financial burden as possible. Under the 1966 law, dangerous defendants were allowed to post bail, so long as they were not deemed a significant flight risk. However, these defendants often returned to their communities and committed another crime while awaiting trial on the first. In response, Congress passed the Bail Reform Act of 1984, which placed the safety of the community above the desires of the defendant. So that a defendant deemed likely to pose a danger to the community while released on bond would not be granted bail. This law replaced and supersedes the 1966 law. The bail bonds system in America is still changing and evolving. California Governor Jerry Brown recently signed a law that would eliminate cash bail entirely in his state. The new law, which takes effect October 1, 2019, aims to determine a defendant’s custody status before trial based on the potential risk to public safety and the likelihood of missing a court date, rather than on ability to pay. At Bond James Bond, we’re committed to serving the needs of our communities, while helping defendants keep their homes, jobs, and family obligations while awaiting trial. If you have questions about whether a bail bondsman is right for you or your loved one, call us today at (678) 825-3436.